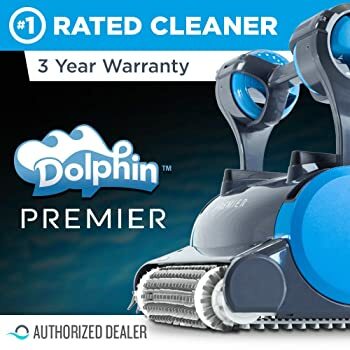 Dolphin Pool Cleaner Reviews 2019: Find out The TOP 10 Choices! Who likes standing and cleaning the pool on a hot summer’s day? Definitely not me! I would much rather be IN the pool than clean it! This is why we decided to put together some Dolphin pool cleaner reviews so that anyone thinking of getting the best Dolphin pool cleaner for their needs can make an informed decision. Besides making pool cleaning a breeze, they are money savers too! The Dolphin Nautilus Plus with CleverClean offers exceptional performance. The CleverClean Technology allows it to clean the floors, walls, and waterline of any in-ground pool – up to a length of fifty feet. An upgrade of the Nautilus, it offers many of the same features with a number of upgrades that may enhance your pool cleaning experience. What is more, it works independently from your pool pump and pool filter, which may save on energy costs and pool chemicals. For the energy conscious, this product uses the latest DC commercial grade motors that may reduce energy consumption by up to an astonishing 87% while the microprocessor-controlled Smart-Nav software ensures highly optimized scanning as well as coverage. This product is highly efficient with a state of the art motor design. 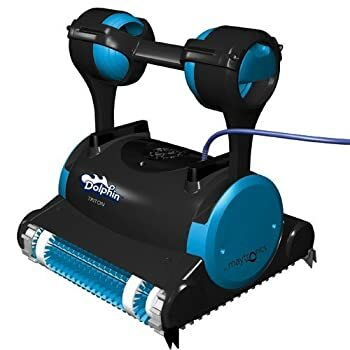 If you are looking for a pool cleaner that does not break the bank, the Dolphin Cayman Robotic Inground Pool Cleaner may be what you are looking for. 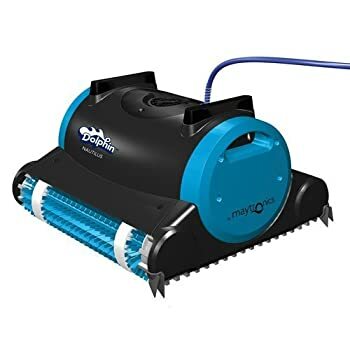 It is a lightweight yet powerful pool cleaner driven by 24-DC motors with SmartNav pool mapping technology that enhances your pool cleaning experience. 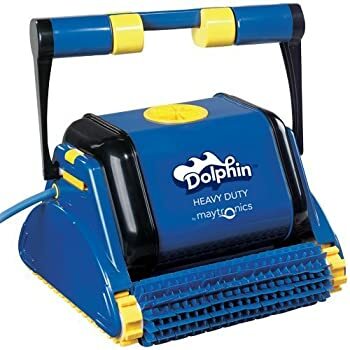 A good option for pools that are up to fifty feet in length, this lightweight Dolphin product does not break the bank, as it is imminently affordable for the job it does. It is able to clean a 50-foot pool in just over three hours. 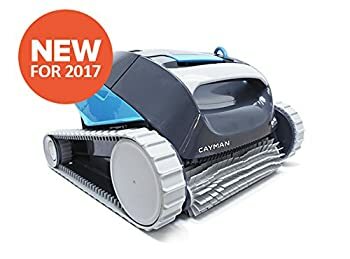 An advanced robotic pool cleaner at an affordable price, this product is able to clean a pool of up to 50 feet in length in just three hours. With the patented swivel cable feature included, tangling is no longer an option. If you are a gamer, the Dolphin Triton Plus may just be the thing for you! Built-in Bluetooth capabilities give you the option of using an on-screen joystick. 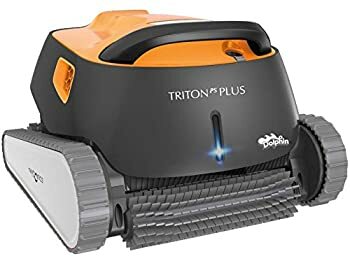 Besides fueling your gaming addiction, the PowerStream Technology in this pool cleaner ensures for a superior clean when the machine is propelled up the wall by means of water propulsion! There is not much we can say on the negative side, except that although software is installed to control cable movement (it does not come with a 360-degree rotational attachment), tangles do still happen. This Pool cleaner can be described as the ‘big daddy’ of pool cleaners as it sports an enormous 400 square inch top-loading cartridge filler. This is a Big Boy! Add to that the hypergrip continuous rubber tracks that ensure superior wall climbing and the variable micron filtration that traps even the smallest debris and algae, and you have a great pool cleaning experience every time. 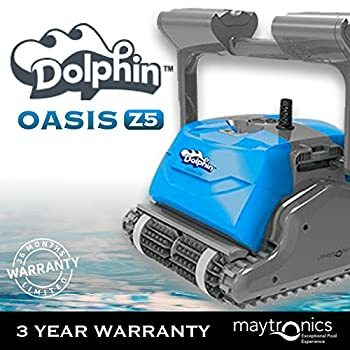 The Oasis Z5 Robotic Pool Cleaner by Dolphin is said to have a groundbreaking design and excellent level of efficiency with a design that promotes agility, maneuverability, and climbing performance. A product that is recommended for commercial pools, the full bag indicator (that is very easy to remove) tells you when it is time for cleaning, while the patented swivel prevents too much tangling. 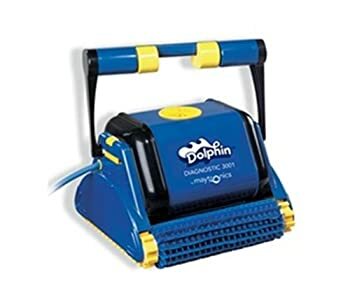 A product that is designed for commercial pools of up to sixty feet in length, the Dolphin HD Pool Cleaner has a 4-hour cycle, making for a clean pool in a relatively short time. Add to this the cost of running at 5 cents per hour, and it proves relatively energy efficient as well. Choosing the best pool cleaner for your needs depends on a number of factors. The needs of an above ground pool and an in-ground pool differ. Not all robotic cleaners cater for an above ground pool’s needs. An in-ground pool has a more solid foundation, but here too you need to ensure the product your specific needs. For example, not all robotic pool cleaners are recommended for liner pools. What is your pool’s purpose? Your needs might differ depending on whether you are looking to buy one for a residential pool versus a commercial pool. The latter may need a longer cleaning time. How much debris lands in your pool? A pool standing open in the sun is less likely to get as dirty as one that stands near falling leaves. You need to determine how much debris lands in your pool in order to determine the type of pool cleaner you need. Our Dolphin robotic pool cleaner reviews may help you with this. How many corners, inclines, steps, and slopes does your pool have? 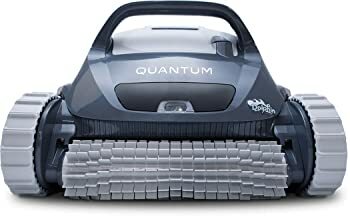 These all factor into the type of robotic pool cleaner you will buy, as some are more maneuverable in these spaces than others. These pool cleaners are usually fitted with an onboard computer system that maps your pool. This ensures complete coverage of your pool. They are fitted with their own filtration system that is independent of your pool pump with their own power settings. They are energy savers, reducing your running costs. Running costs are further reduced by the fact it is not connected to your existing pool filtration system. Today’s new-age robotic cleaners give you the added advantage, on the most part, of not having to spend hours hand-scrubbing your pool, while their updated filter systems and suction power tends to leave your pool sparkling clean. 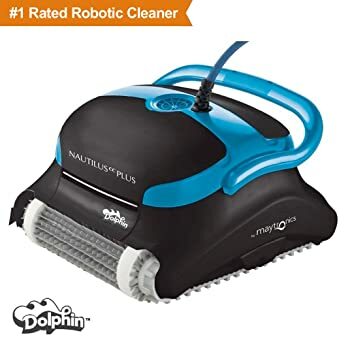 Of the different dolphin pool cleaner reviews we undertook, the best dolphin pool cleaner, in our opinion, is the Dolphin Quantum Robotic Inground Pool Cleaner. Why? We like the fact that it has an enormous top-loading cartridge filler, making cleaning something that you do not need to do each and every day (depending on how dirty your pool might get). The PowerJet 3D mobility, low power consumption, and the Hypergrip continuous rubber tracks that make wall climbing a breeze are also some outstanding features that make this one stick out from the crowd!